Your birthday is a very special day. 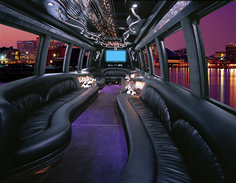 Wrap yourself up in a VIP Limo and be a present to your guests. Or, if you just want to celebrate your day differently around the island, we can help you make your special day a unique and memorable one in our private party limos. Pick up and drop off birthday celebrant, family, friends, and guests, at desired times and locations. Ensure safe and timely travel to desired destinations. Coordinate arrivals to make for your grand entrance(s). We are your chauffeur. We're always on standby on location ready to bring you to your next desired location on the island to celebrate. *Not at all limited to the services listed. Some restrictions may apply. Custom services and pricing available to accommodate your needs.